Sometimes you will need a little nudge in order to get your creative juices flowing. Below you will find song prompts songwriting app that generates an idea or thought that will help you get started. A prompt is designed to cause or bring about an action or feeling. That is how you should use this app. 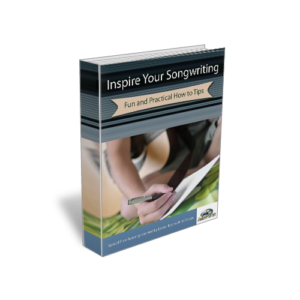 Bookmark this page and visit it anytime you need some inspiration to get started writing a song. Use this area to brainstorm and write your ideas based on the above prompt. To save your work just copy and paste your work into your favorite text editor. note: your work will not be saved once you leave this page. Waking up in the morning, Trying to get it all done. Don’t you see that I’m breaking, now that you’re gone. Rain pours down the window frame, going home tonight. Trying to decide. Left or right? Don’t be shy when it comes to using imagery, metaphors and similes. Figurative language helps to show us, not tell us, what the singer is experiencing. A song is really a mini aural movie. Again, every image and word of lyric suggests the central concept.